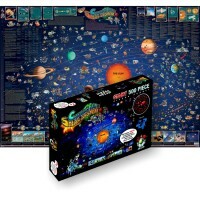 Assemble this challenging 500 pc geography puzzle, look at the beautiful pictures, find interesting facts and learn about USA! 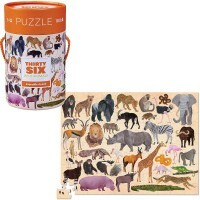 Assemble this challenging geography puzzle, look at the pictures, find interesting facts and learn about USA! 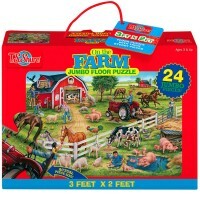 You can do all that with the USA Map 500 pc Illustrated Floor Puzzle. 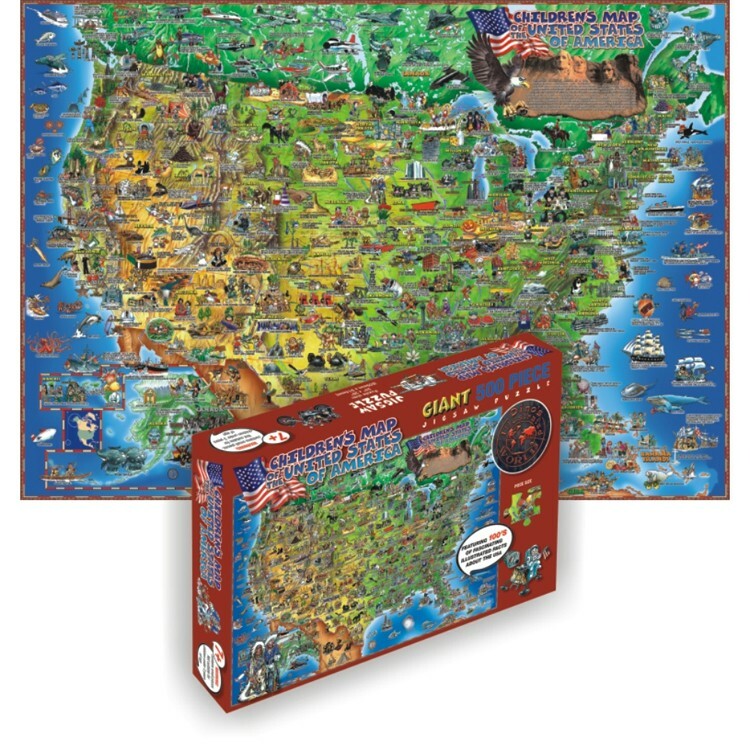 This US map jigsaw puzzle features 500 jigsaw pieces plus hundreds of fanciful illustrations presenting historic events, landmarks, fascinating facts and places of interest around the USA. 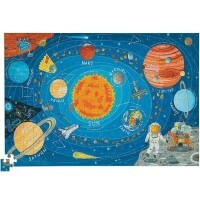 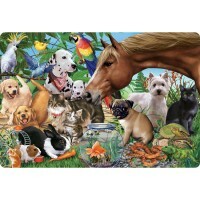 Educational Toys Planet's USA Map 500 pc Illustrated Floor Puzzle measures 2 x 3 feet assembled. 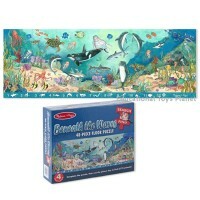 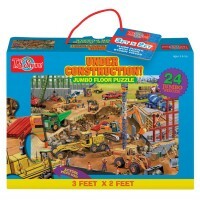 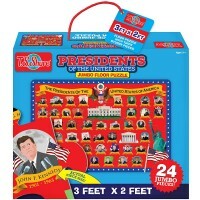 The kids USA map giant floor puzzle is quality made from recycled materials. The finished illustrated USA map puzzle can be glued together as an educational wall poster! 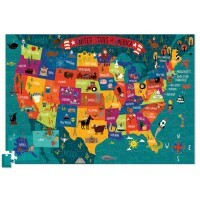 Dimensions of package 36" x 0.1" x 24"
Write your own review of USA Map 500 pc Illustrated Floor Puzzle.